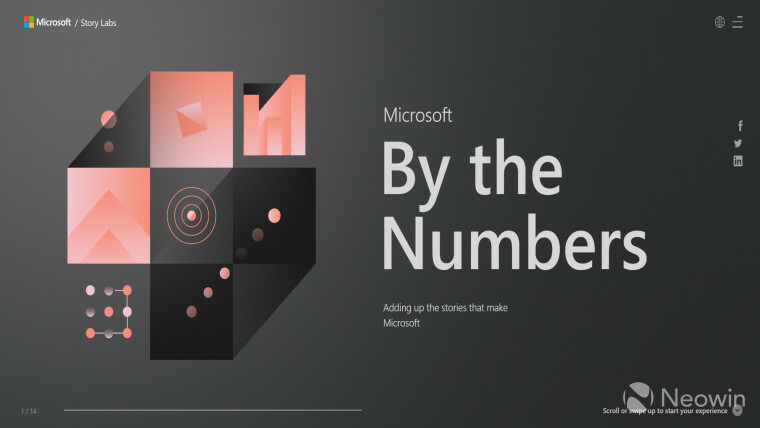 Way back in 2015, Microsoft launched a "Microsoft by the Numbers" website, offering interesting tidbits of information about the company and its products. These included facts like there being 669,000 apps in the Windows Store (at the time), Office apps being downloaded over 100 million times on Android and iOS devices, and Microsoft employees in Redmond, Washington eating about 984,000 orders of French fries each year in campus cafeterias. The company shut down this page a few months after its announcement, asking people to check the website again soon for a "new" Microsoft by the Numbers soon. However, the page has remained barren for the past couple of years or so, until now. When the website launched, I added it to my "Bookmarks" bar in Chrome, expecting it to be updated on a regular basis. I didn't remove it from my Bookmarks even after the site was closed, checking it after every few days to see if it would be making a return. With a sound level of -20.6dB, Microsoft's anechoic chamber holds the Guinness Record for "World's Quietest Place". Beyond a small amount of drinking water, Microsoft's Silicon Valley campus consumes zero water from municipal water supplies. Last year, Microsoft donated over $1.4 billion in software and services, helping nonprofit organizations around the world access essential technology and skills. Microsoft employees donated $156 million, volunteered 700,000 hours, and supported 19,550 nonprofits and schools, with the participation turnout being 75% of the total workforce. 1.5 billion Windows-powered PCs are used around the world. Microsoft runs several labs around the world which specialize in the fabrication of quantum devices. Cryogenics are used to keep certain quantum components 200 times colder than the farthest reaches of outer space. Microsoft has made 137 "AI for Earth" grants to individuals and organizations in 47 countries, helping them use artificial intelligence to protect the planet in the areas of agriculture, biodiversity, climate change and water. Microsoft's Rural Airband Initiative invests in partnerships with telecommunications companies with the goal of bringing broadband connectivity to 2 million unserved people in rural America by 2022. Since 2012, Microsoft has operated 100% carbon neutral around the world. Microsoft's Seeing AI app, which helps people who are blind or have low vision to better navigate the world around them, has assisted people with more than 10 million tasks. 189 million pounds of food, packaging and dining related items from Microsoft's Puget Sound campus go somewhere other than a landfill every six months. 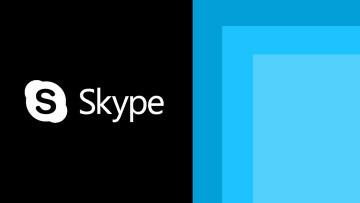 It is noticeable that while most of the new tidbits of information revolve around the company's environmental efforts, there are also some interesting statistics about its products and services, such as the number of questions that have been asked from Cortana since launch. It will be interesting to see if Microsoft keeps the website updated with the latest statistics, and whether it will also shift more focus to its products like Windows and Office, which will likely interest more consumers.